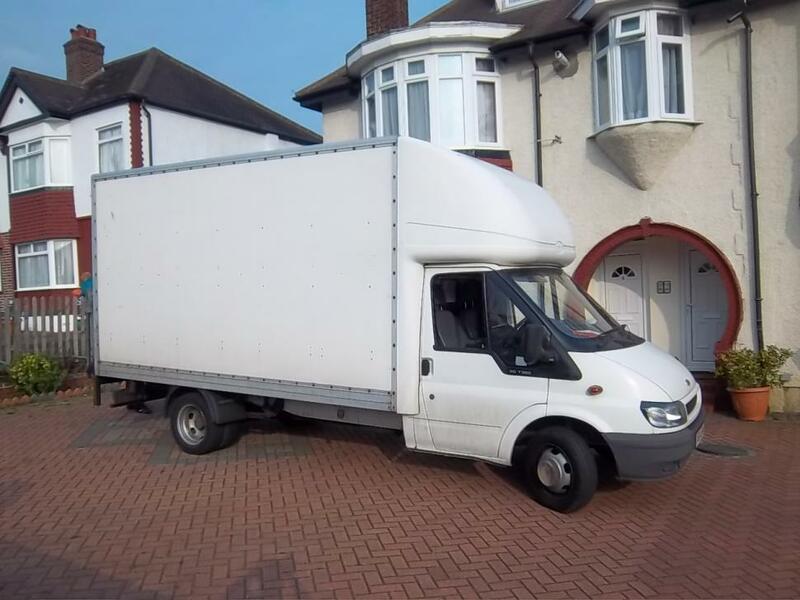 We can't give you a quote from Removals Van London , but we have hundreds of drivers waiting to offer you a great price. Have a question for Removals Van London ? No problem, send them a message and they'll email you back as soon as possible. If you have a more general question you might find it answered in the FAQ, or you always contact one of our brilliant customer service team. * Removals Van London won't be able to see your email address. Very nice and helpful couple of guys - only delayed by a hugely under-estimated previous move. Very helpful with a difficult wardrobe! First time we have used your service. Website very quick and easy to use - impressive. The guys turned up 15 mins ahead of time - great. Their job was to help our engineer move a heavy piece of equipment up a flight of stairs and onto our engineer's van. Our engineer's feedback is that he would not want to use this team again. He said they were nice friendly guys but could hardly speak english [one of them had limited english and the other none at all] and either didn't understand his instructions or disregarded them which worried him because this equipment needed careful moving, included being carefully tilted in a particular way as it has internal balance and is a precision instrument. We usually use other spare engineers but in this case none were available so we tried your site but at a minimum we need guys who can understand english well and really listen and act on instructions as our equipment needs moving with great care. So overall impressed with site, ordering, punctuality but just not careful enough for what we need and no/poor english is a real problem. CMV response: The drivers have been made aware of this review and the problems encountered by the customer when using their service. Great service overall! Moving went really well, no comments on that. The only thing I wanted to mention is that I had phoned the company and asked to bring some packing boxes. They said the driver would bring some, but in the end they didn't bring any. It is fine if they weren't able to deliver them, but they should have informed us in advance, so we could have purchased some extra. The guys were really friendly and hard-working, and careful not to bash doorways. Delighted. If in need again I will call again. Nice guys - worked really hard. They left behind some stuff unfortunately - didn't clean up a couple of drawers etc. but very punctual, professional, timely etc. Very good service overall and well mannered people. I bit too many smoke breaks for an hourly billed service. Excellent service, driver was early and started right away. Was very well equipped with blankets and straps and took care of the furniture. Very friendly, would thoroughly recommend!! the guys were great and very polite. Would book them again. although they were late, there was a reasonable explanation [the previous customer had seriously underestimated how much stuff they had] and they were very professionals and courteous when they arrived. The move went so smoothly and quickly, they were very helpful! Excellent, the guys were a little late but did a great job especially with the three flights of stairs in my new apartment!! Excellent service from the two guys and can, arrived early and everything delivered in one piece, very good value, will recommend to friends! Thanks for the easy transaction. Great helpers, We have moved in peace. A bloody heavy wardrobe and they were able to carry it upstairs and position it in place. Thanks. Really kind and helpful, driver. Job before over ran but they phoned at said they would be late with plenty of time in advance which was fine. They moved the belongings with care and considerations and put together beds and sofa too as they had time. Next time i should book smaller car. Thank you for the great service. The two men that were helping us were amazing! They did such a good job and worked as fast as they could. Given the amount of stairs they had to climb they really put their all in. THANK YOU to them! Everything decided to go wrong with my move. First off original guys cancelled had to have another driver sent. Then my 1pm time was changed to 2pm. Thirdly they where a hour late couldn't find my address. Then ended up having to pay for another hour because ran over time slot of 3hrs (not the drivers fault I might add). So overall I'm sorry but just not impressed. Driver was 30 minutes late but I was phoned in advance and told, so it was no problem at all. Both removal men were very professional and moved my stuff with no problems. Would use again. be very polite and helpful and would certainly use your service again in the future. Brilliant service - stayed with us till late into the night to get it all moved as took longer than expected. Great service! I really recommend them. Emil was really nice, respectful, and friendly. He called me 20 minutes in advance of arriving to tell me that he was coming, and was very quick and careful with my things. I would highly recommend his services. My house is very hard to find so I can forgive the lateness- especially because the driver was so fantastic loading up my stuff, he leapt up and down the 2 flights of stairs at such speed (both picking up and dropping off) I barely had to do anything and it took much less time than I expected, FANTASTIC service, thank you! Excellent service. Professional, efficient, helpful. Thoroughly recommend. Very organised. The drivers were extremely punctual, efficient and friendly, and I appear to have got through a whole move without anything breaking (which has never happened before!) Thank you! Prompt, polite and quick. Very respectful with belongings. Would definitely recommend. Friendly and professional service. The guys did a great job. Very happy with the move . The drivers were over an hour late. They called at the time they were supposed to arrive. Although it didn't bother me too much, it would have been nice to have known a little earlier. That said, they were efficient and polite.